One of my favourite things about living in London is that it is a cultural centre where great worlds collide and come together leaving us richer with expression, creativity, experience and opinions. And this weekend, I am all set to attend ‘The greatest literary show on Earth’. 2018 marks the fifth anniversary of ZEE Jaipur Literature Festival’s presence in London, and the producers, Teamwork Arts along with co-directors Namita Gokhale and William Dalrymple have curated a bespoke programme for UK audiences, to be held on this weekend, June 8-10. 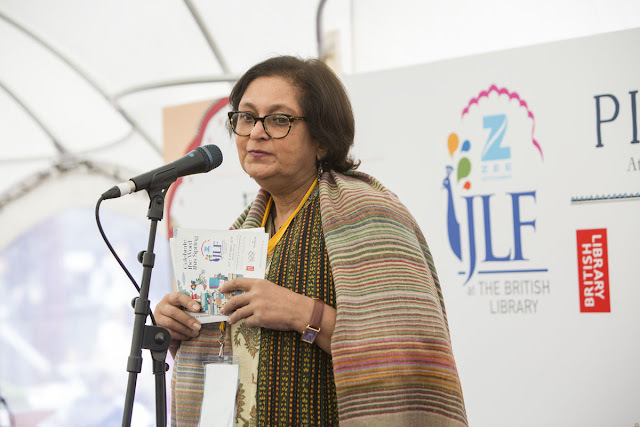 With over 100 eminent authors and thinkers from across the globe, The British Library in London will be transformed into a unique cultural space showcasing South Asia’s literary heritage, oral traditions, performing arts, books and ideas. 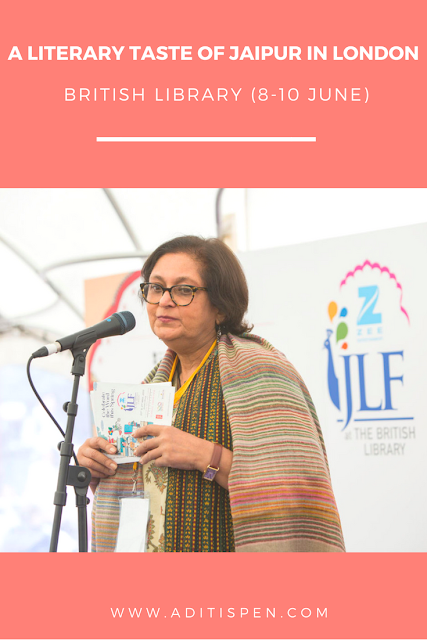 Last year, the British Library was infused with excitement and repartee for two days and had resounded with sessions on PG Wodehouse, the Beatles in India, travel, migrations, fiction-writing, the Partition, and poetry. This year the speakers include: Bollywood power couple Shabana Azmi and Javed Akhtar, who discuss the poetic heritage that runs in their blood; John Zubrzycki, talking about his new work Empire of Enchantment, which explores the untold history of Indian magic; Robin Jeffrey, author of Waste of a Nation, that examines garbage and growth in India; Tishani Doshi, one of India’s most acclaimed young poets; railway historian Christian Wolmar; South Korean author Suki Kim; and award-winning British-Zambian poet Kayo Chingonyi. From the enchanting morning music by Deepa Nair Rasiya and Azeem Ahmed Alvi, to hearing Katherine Boo talk about one of my all time favourite books ‘Behind the Beautiful Forevers’ discussing the 21st century’s hidden world, to imbibing the genuineness of travel writers Bee Rowlatt, Hugh Thomson and Monisha Rajesh in a session with William Dalrymple, I am looking forward to this weekend. And, at the end of all the literary and social discussions, a workshop on Sattriya Dance, would be the perfect way to immerse myself in the spirit of India. I’ll be capturing the event live on my Instagram story, so stay tuned! Wow I wish I could have been an audience to this! Never in UK at the right time! Wow! What an amazing line up of sessions! How I wish I could be a fly on the wall for the Shabana Azmi & Javed Akhtar session, and on John Zubrzycki’s session on the untold history of Indian magic! 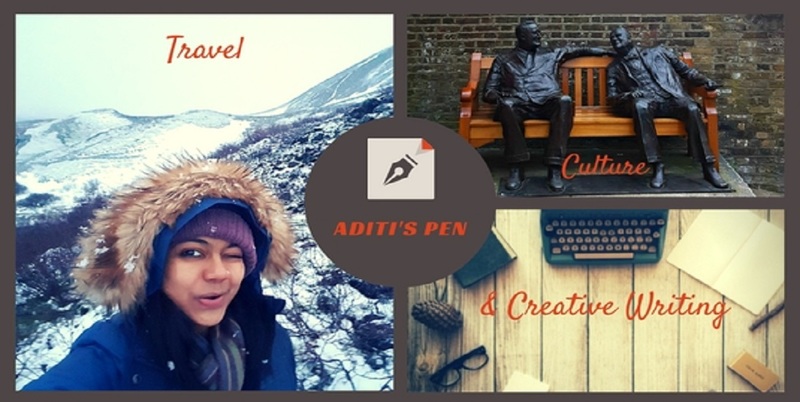 Have a great time, Aditi!